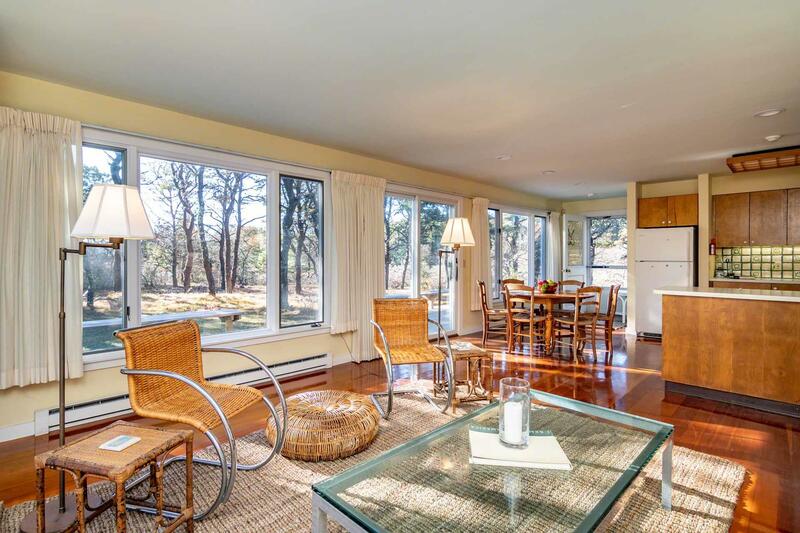 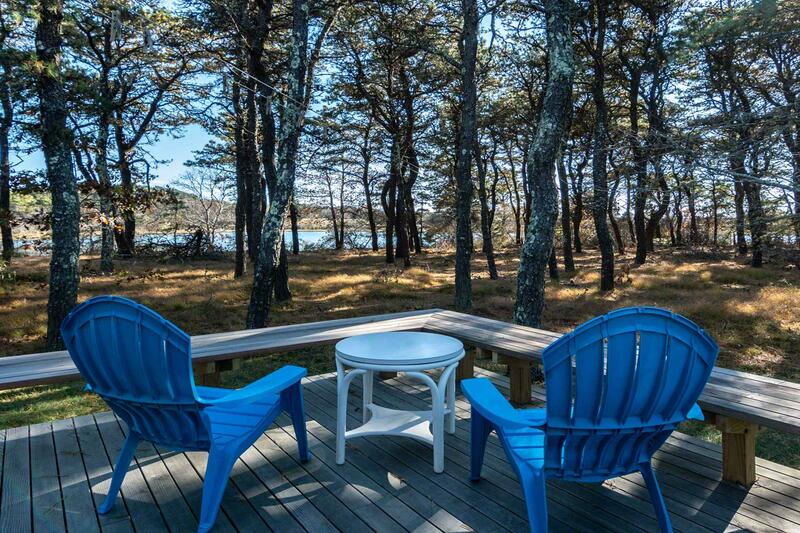 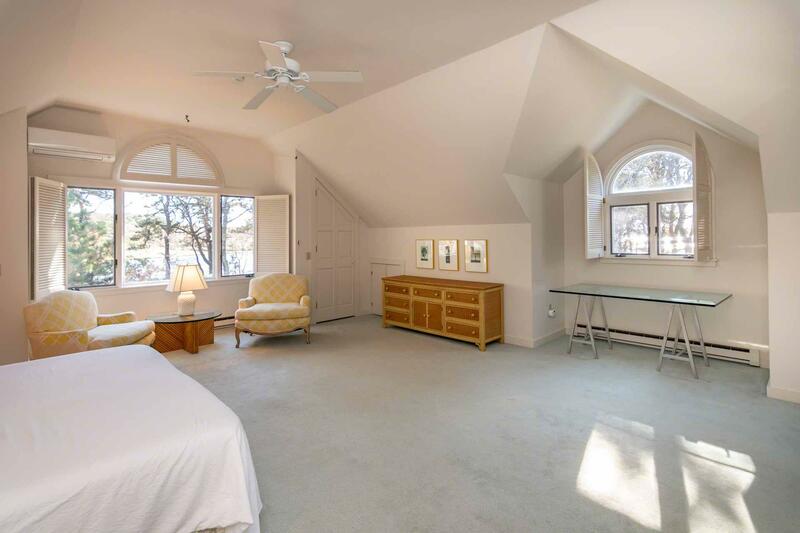 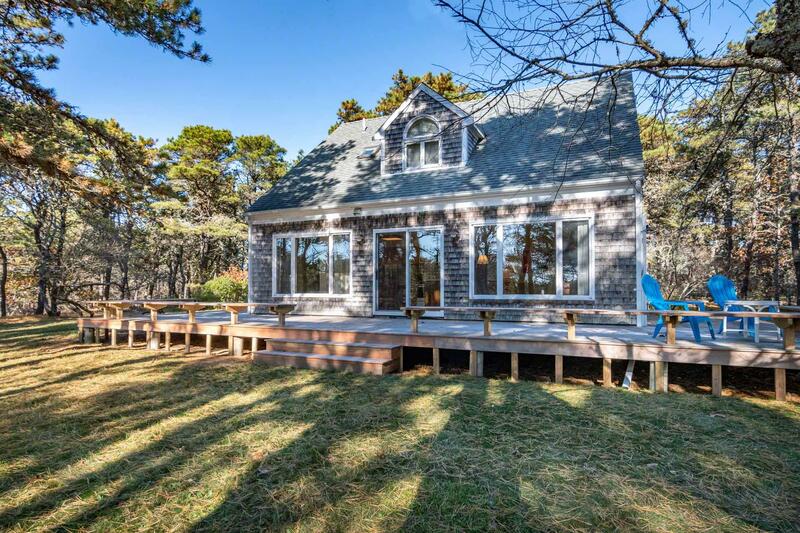 YEAR ROUND HOME IN A NATURAL, WATERFRONT SETTING -Designed by famed, Vineyard based, Danish architect Niels Gabel-Jorgensen, this open and airy Cape style home sits nestled along the shores of Caleb's Pond. 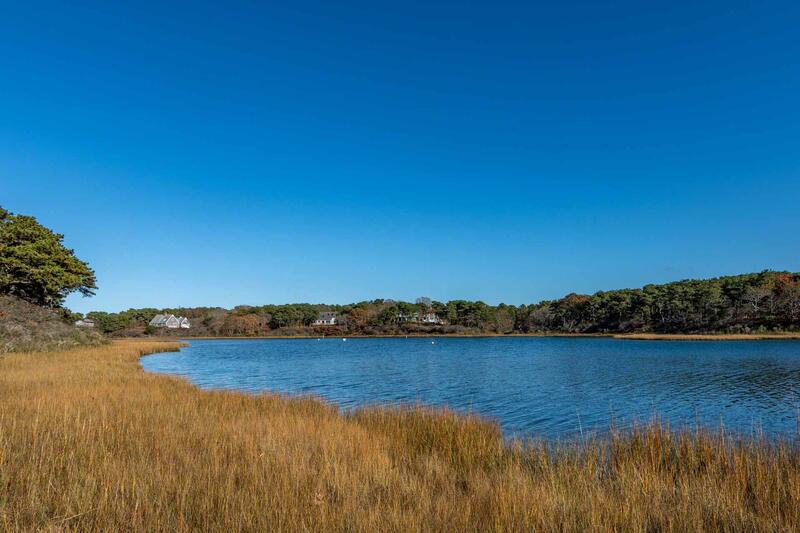 The conservation-minded buyer will appreciate the Sheriff's Meadow Conservation that surrounds this home which is located on a point of land stretching to the edge of the pond. 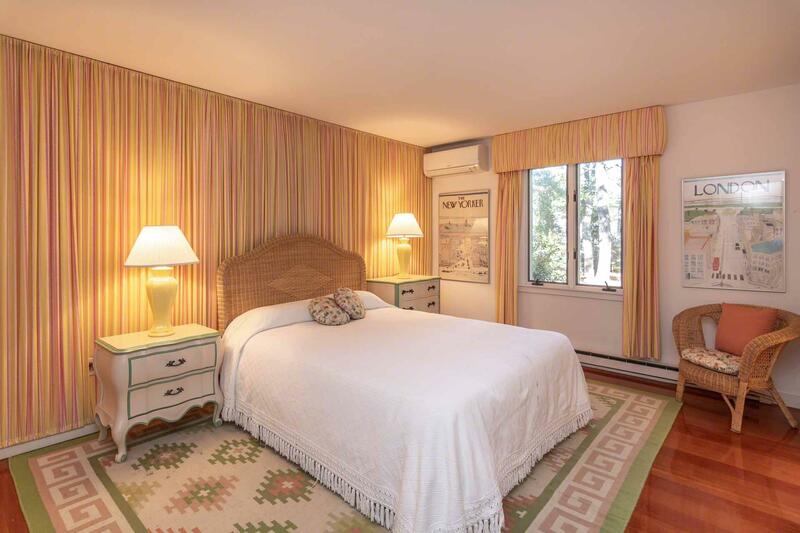 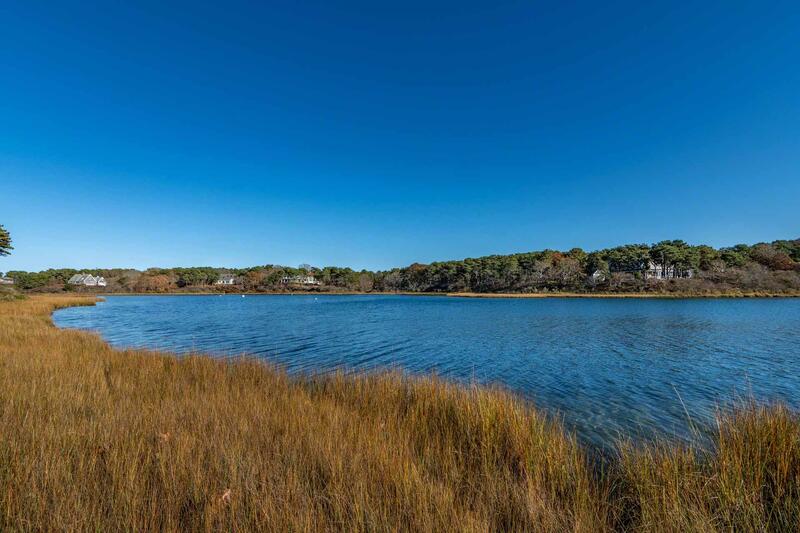 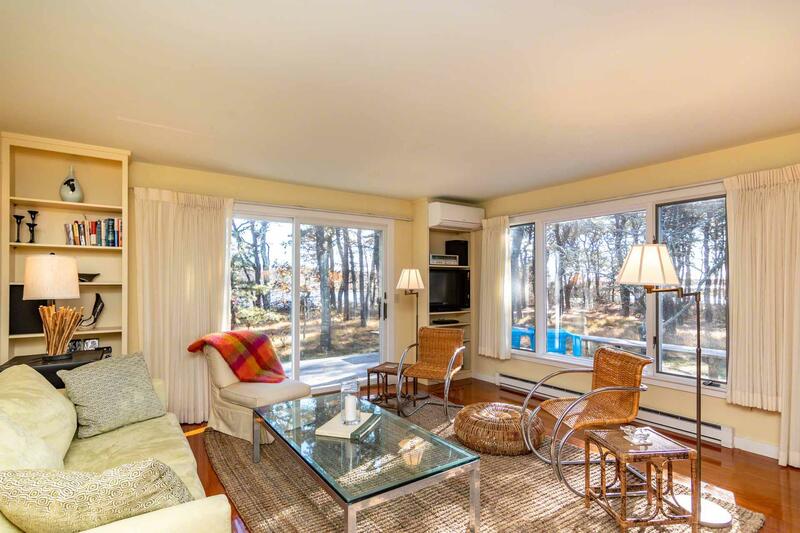 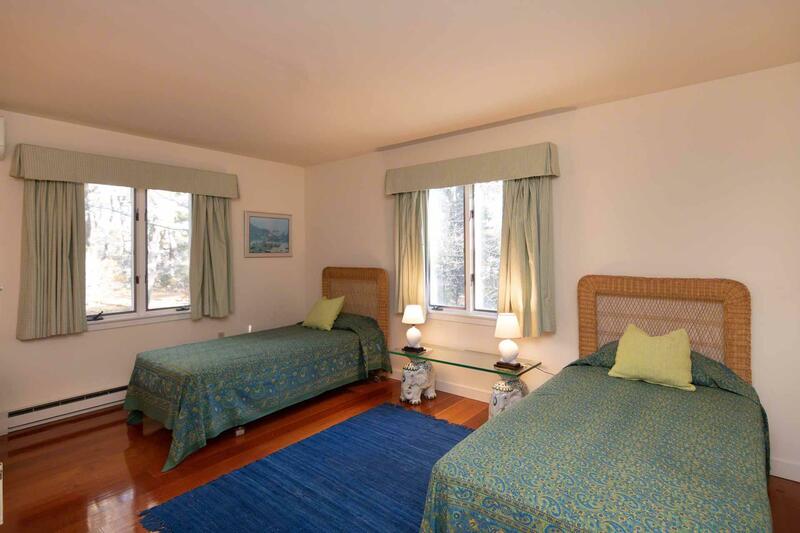 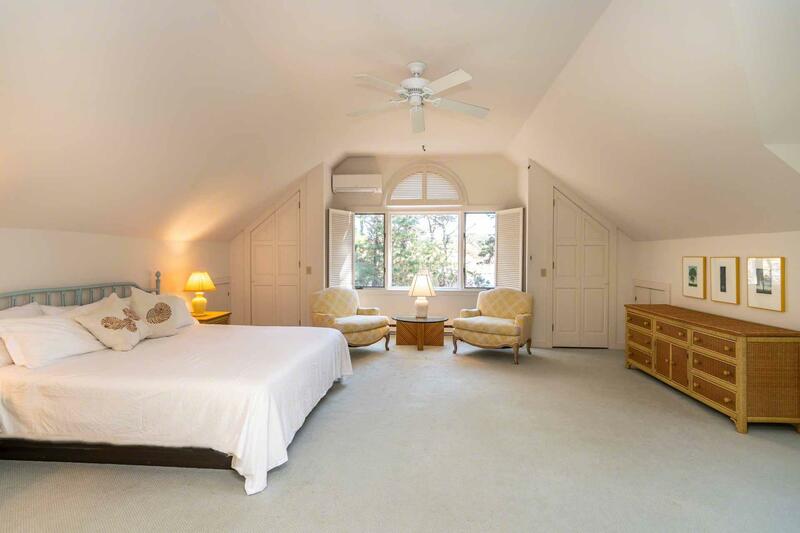 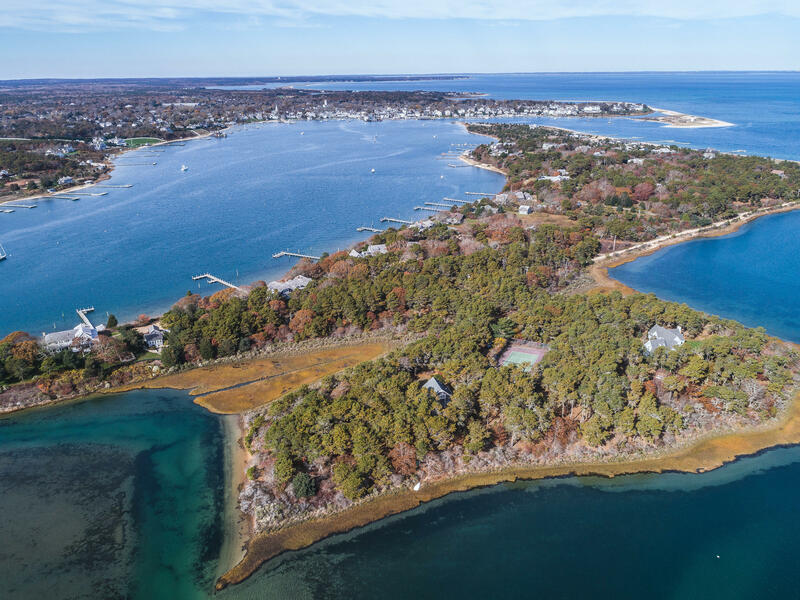 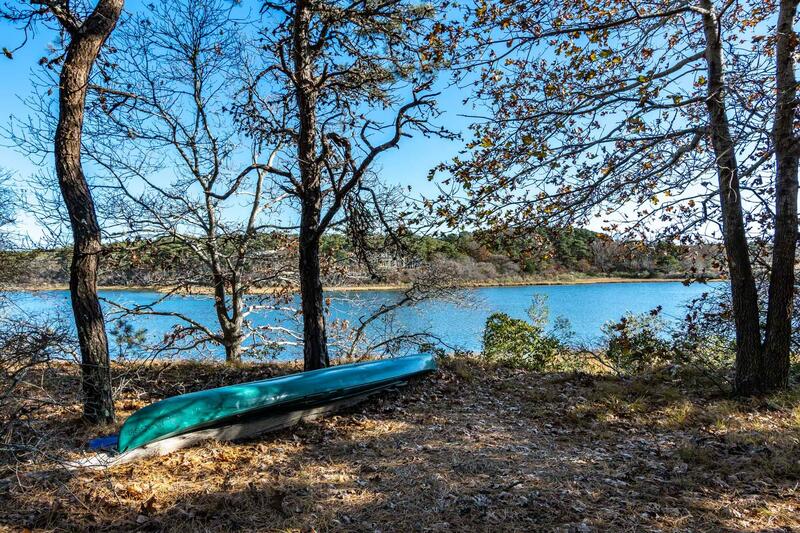 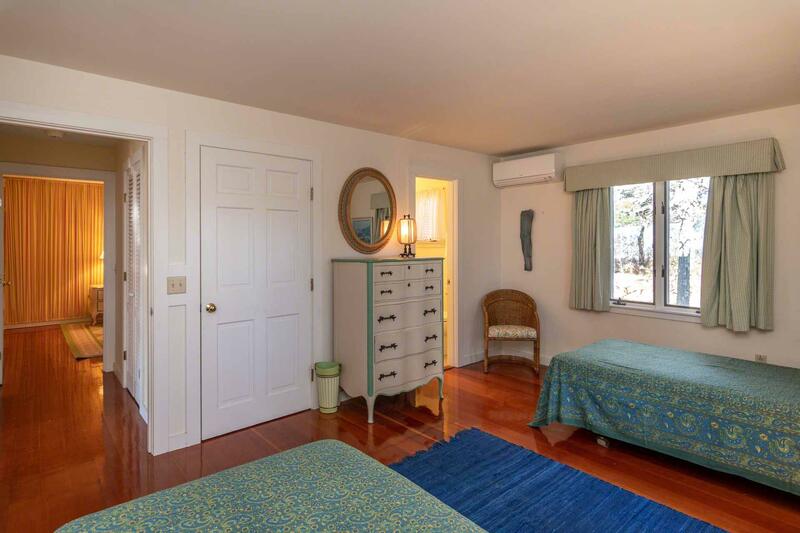 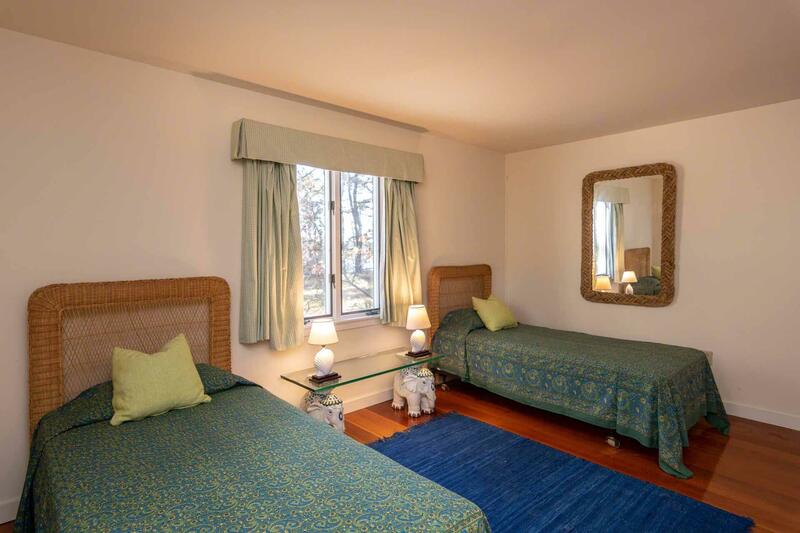 With the ease of access to the shoreline and easy access for canoe, kayak or paddle boards, ply the waters of the pond or out into the Edgartown Harbor and into Katama Bay. 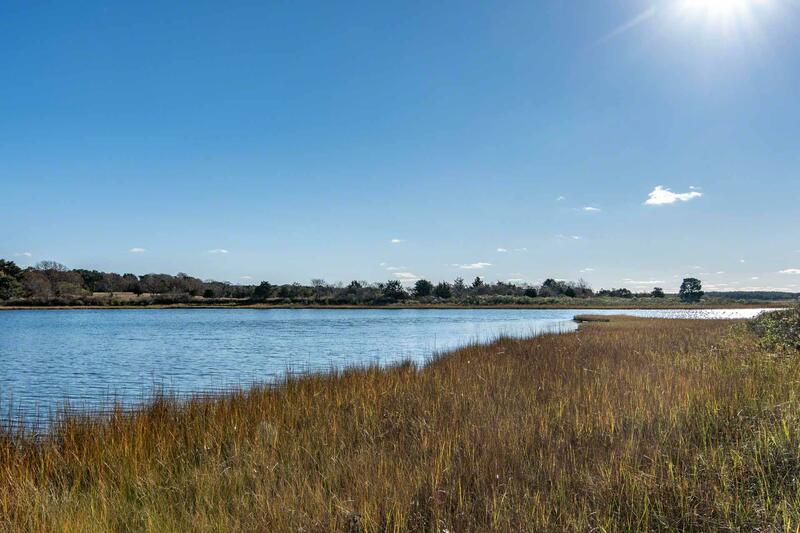 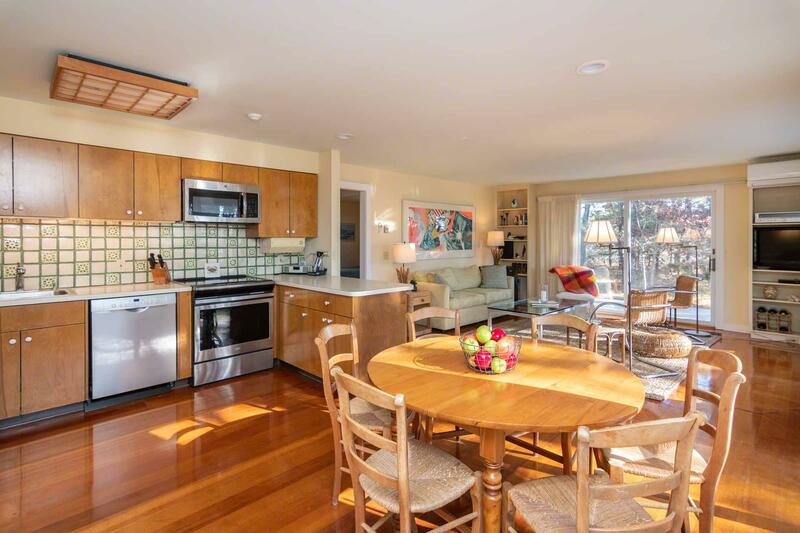 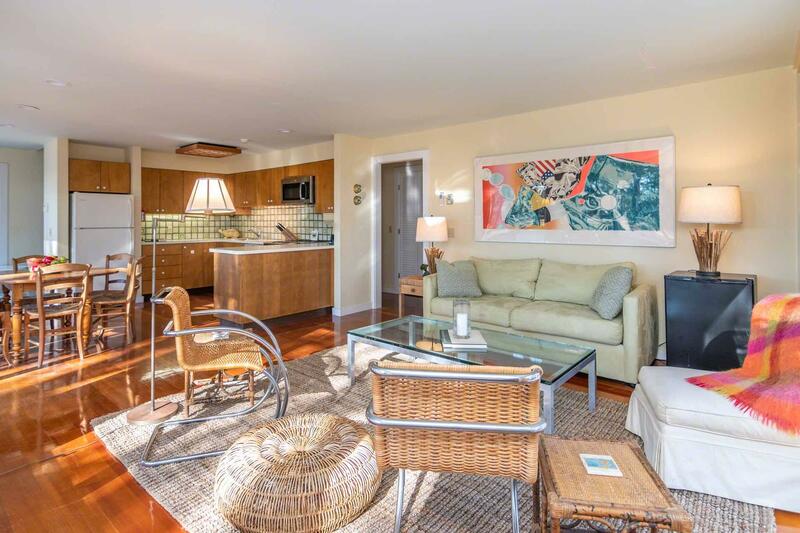 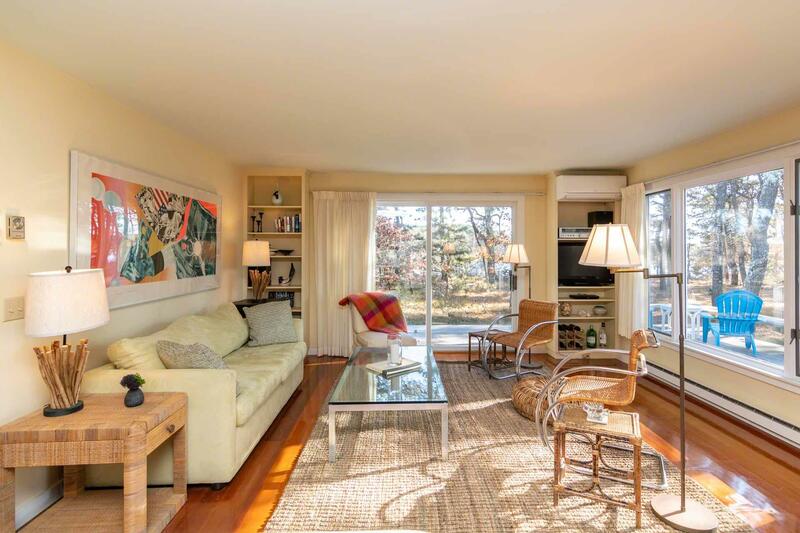 All the offerings of Chappy with ease of access to Edgartown for shopping and dining. 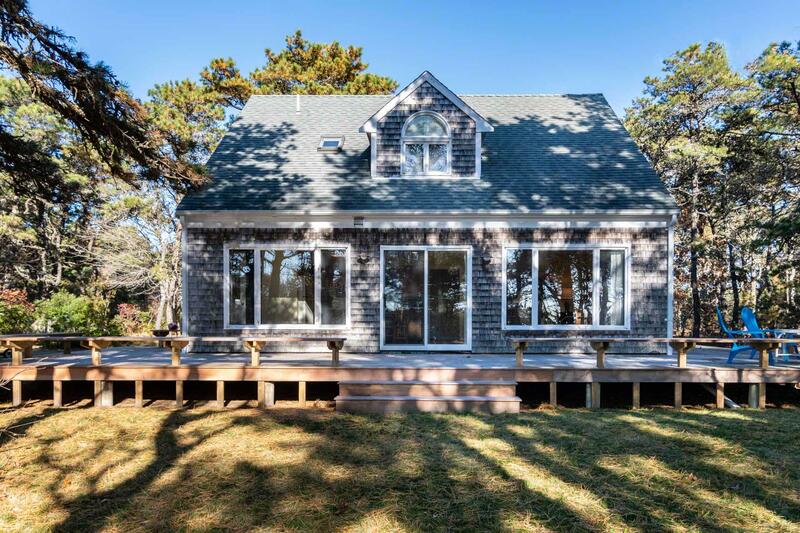 Enjoy this beautiful setting from inside looking out over the water through a wall of glass or out on the new, large deck. 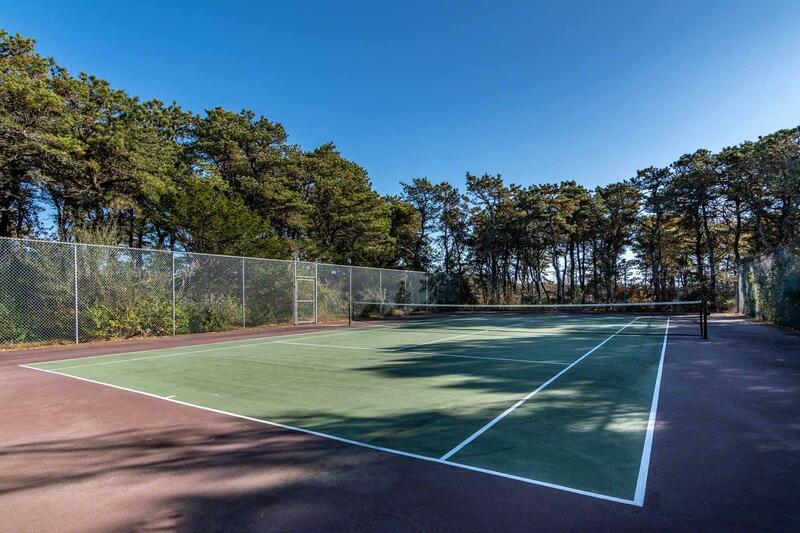 Private Tennis Court to boot!